Search out backpackers travel insurance which covers the pursuits and activities you want to do. 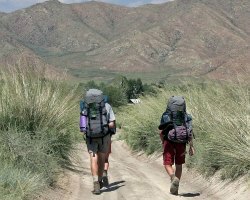 Standard backpackers insurance comparison sites can leave users frustrated when it comes to finding the right policy for their trip - the price is one thing, but really it's the cover that matters - and most travellers have a number of plans which can make some companies run for the hills! So rather than comparing price you can get an idea for the companies who are more welcoming when it comes to hazardous pursuits as we have detailed their cover for activities such as bungee jumping, white water rafting (level 1/2), scuba diving to 30m (accompanied and subject to qualification) and undertaking an organised safari below. We also compare the insurers' ability to help if you have a pre existing medical condition. If you have had a condition in the past do check to see if your insurer wants to know about - when you are backpacking for a lengthy period you want to know that, wherever in the world you are, your travel insurers will come to your rescue - and not declaring a historic medical condition can, in some circumstances, cause considerable concern. We do regularly check the details of policies featured but as companies can amend or change details at a moment's notice please do double check all the details before purchasing. If you are off on a Backpacking holiday you will be looking for a suitable policy which will provide you with the reassurance that you are well covered for anything that might come up whilst you are away. Backpacking breaks tend to be lengthy and therefore unforeseen events, such as having to return home during your trip or a serious illness occurring, can mean a change of plans which you would ideally want protected. It is therefore worthwhile asking yourself the following questions when considering your backpacker's policy. Does my backpacker's policy allow me to return home during my trip? Even if you are not planning to pop back to the UK during your trip, events can occur which make such an eventuality necessary. Some policies automatically expire immediately on your return to the UK, even if you have bought a policy covering a longer period. Others allow one return visit or more. Some policies cover 100 or more activities without extra charge, others don't. Make sure you are covered for what you want to do and that your adventuring spirit is not held back by the small print in your backpacker's insurance policy. If you are going away for a long time it's not worth the risk that a seemingly minor condition could invalidate your policy. Many insurers will allow you to declare pre existing medical conditions, and minor conditions can cost little or nothing to cover. If, however, you are struggling call one of the companies on our Pre Existing Medical Condition Travel Insurance page and they will be delighted to cover your trip. If so, check the policy carefully to make sure that this is covered. Travelling with your laptop, jewellery or other valuables? If you are taking any valuable items with you (such as cameras, laptops, jewellery, tablets or mobile phones) check the policy limit. It may be necessary to get these covered under a specialist gadget insurance policy or through your Home Insurance. Most gadget insurance policies will allow you to insure a gadget for up to 90 days abroad, although this can rise up to an unlimited period (as long as your permanent residence is in the UK) for laptops. Compare gadget insurance here.